NTSE Goa Exam 2019: State Council for Educational Research and Training (SCERT), Goa, will release the NTSE Goa result 2019 in April 2019 in the online mode. The council conducted stage 1 of NTSE 2019 on November 4, 2018, across five exam centres - Mapusa, Margao, Panaji, Ponda and Vasco. NTSE Goa exam 2019 was conducted for class 10 students from the state. The application process NTSE 2019 has been closed and the last date to apply was August 31, 2018. The result will release in the form of merit list of selected students. A total of 25 students will be selected for NTSE 2019 stage 2. 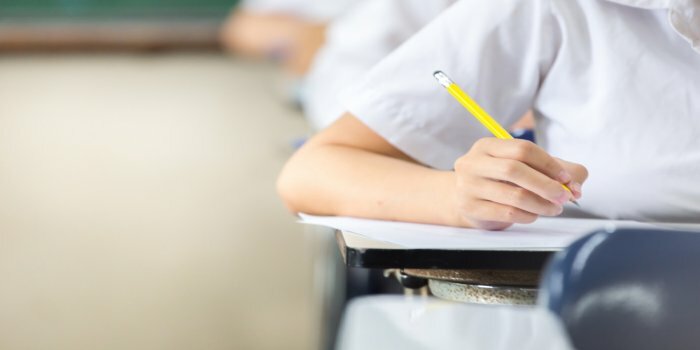 The national level exam will be conducted by National Council of Educational Research and Training (NCERT) on June 16, 2019. For more details such as cut offs, results, exam pattern of Goa NTSE exam 2019, scroll down. 70% marks in class 9 for general category applicants. 55% marks in class 9 for SC, ST, and OBC categories. Given below are the important dates related to Goa NTSE 2019 exam. Candidates must keep this calendar handy so as not to skip any important event. Students can expect the results for stage 1 Goa NTSE in April 2019. NTSE Goa results 2019 will contain a merit list of students selected for the second/final stage of the talent search, and the name of their schools. NTSE Goa result 2019 will be downloadable as a PDF file. SCERT Goa might release the NTSE Goa cutoff along with the result. Cutoff marks is the minimum score a candidate needs to score in order to qualify for the second level of NTSE. The qualifying cutoff for NTSE 2019 stage 1 is 40% for general and OBC candidates and 32% for SC, ST candidates. SCERT Goa releases the official answer key for Goa NTSE exam by the last week of November. The answer key by various coaching institutes has been also made available in the second week of November 2018. Candidates can use NTSE Goa Answer Key to calculate an estimate of their scores for Goa NTSE 2019. Answer key for Goa NTSE exam will be posted here as soon as it is released officially by SCERT, Goa. Stage 1 NTSE 2019 for Goa was conducted for students currently studying in class 10, and are yet to appear in the board examination. Also, students must have a score of at least 70% marks in class 9 for general category, and 55% for reserved categories to be eligible to apply. Open schooling class 10 students can also apply for the talent search given that she or he is not working a job along with their studies. The State Liaison officer had emailed the NTSE application form to all the schools. Students had to collect the forms offline from their respective schools. Application forms for Goa NTSE 2019 were available offline only in the first week of August 2018. Students had to fill the form offline and submit it to the school authorities by August 31. There was no NTSE Goa application fee. How to fill NTSE application form 2019? Collect an application form from the state liaison’s officer of Goa NTSE or your school. Fill up all the required details such as preferred examination centre, category etc. Fill the admit card form attached in the application form with required details and paste the photograph at the designated column. The admit card was not to be detached from the application form. Submit the application form to the school authorities by August 31, 2018. Collect the admit card/ hall pass from the state liaison’s officer at least 10 days before Goa NTSE 2019. Exam pattern shares the vital information of exam like types of questions, marks allocated to each question, the time allotted etc. Exam for Goa NTSE 2019 will contain 2 tests, Mental Ability Test (MAT), and Scholastic Ability Test (SAT). Both the tests will have 100 questions each. There will be no negative marking in NTSE Goa 2019, and each question is for 1 marks. Please note that Language test is no longer a part of NTSE stage 1 exams. Those who appear for NTSE Goa exam 2019 should prepare with sample papers for the exam. NTSE Goa sample papers are previous years’ solved question papers. Practising with Goa NTSE sample papers will help students get familiar with the exam pattern, time duration etc, of the exam. Students appearing for NTSE Goa exam should prepare with sample papers for the exam. NTSE Goa sample papers are solved question papers of previous exams. Candidates appearing for NTSE Goa exam 2019 should prepare with these sample papers to get familiar with the exam pattern and its time duration. Official sample papers for Goa NTSE will be posted here as soon as they are available on the website of SCERT, Goa. NTSE exams began with the aim to reduce student dropout rate from schools across India. Under the programme, 1000 scholarships are distributed each year. Students selected from NTSE Goa exam 2018 will compete for the 1000 scholarship at NTSE 2019.